Whether you have normal, dry, oily, or combination skin, moisturizing needs to be one of the steps of your daily skin care routine. 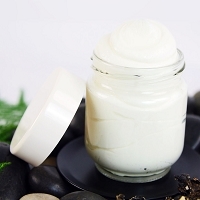 Moisturizers replace the nutrients and hydration that are sapped from the skin throughout daily life. Choosing a moisturizer that is specially formulated for your skin type will reduce breakouts, and give the skin an even, healthy tone. The moisturizers formulated by RainShadow Labs offer the skin a level of nourishment and protection that can only be found using natural and organic ingredients. We have cremes, lotions, and treatments available that are suitable for use on the face and neck, as well as for the whole body.